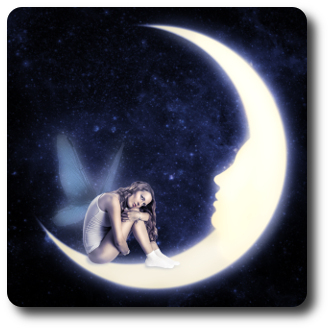 People born with the Moon in Pisces are exceptionally sensitive souls. The Moon rules emotions, and Pisces is probably the gentlest, most sensitive and most spiritual of all of the signs – with this placing, you are a truly emotional being, with outstanding intuition. You move quickly from one extreme of emotions to another, encompassing the very highest of joys and the very deepest of despairs – sometimes before breakfast. When Pisces Moon compatibility works well, your partner will be your rock – able to support you during your darker moments, and able to cherish and adore your lighter, more romantic moods. Empathy – A Blessing or a Curse? Because you are so in tune with your emotions, you soak up the atmosphere around you like a sponge. Other people’s moods have a tremendous effect upon you, as if coping with your own moods wasn’t tricky enough in the first place. You can be uplifted by happy people and dragged right down by negative ones. Your empathetic nature makes you an outstandingly sympathetic and caring lover, but your inability to find logic through the fog of emotion means that you’re not really a very practical help during times of trouble. Pisces Moon compatibility for you is an all or nothing kind of feeling – either your relationship is the best in the world, ever, or it’s the worst thing ever to happen to you, ever. Nothing is ever just OK.
You are an old fashioned romantic, full of fairy tale dreams and expectations. You might think that this makes it hard to find someone who can measure up to your Pisces Moon compatibility requirements – but actually, you fall in love fast, easily and often. When you are in love, you put your partner on a pedestal so that he or she can do no wrong. This rose tinted glasses approach is lovely for your partner, and it works OK for you to during the good times. When your partner lets you down or falls off their pedestal, however, you are at a total loss to understand what has happened, and you never, ever see it coming. Not surprisingly, with so much emotion swirling around, you sometimes find it hard to deal with the harsh realities of day to day life. You like to escape, and often you do that by seeking the line of least resistance. This makes you vulnerable to an unscrupulous partner, and it also makes it hard for you to escape from an unhealthy relationship. For Pisces Moon compatibility to work in your favor, you should work on your self-reliance skills. It’s a lifelong journey for you to learn to love yourself more than you love others, but you’ll get there. You also need to learn that it’s OK for your partner to have faults – and that you can love them in spite of their faults, in full knowledge of them, rather than allowing their faults to creep up on you out of the blue.